What More Do You Want From Shooter Games? The best-selling games on consoles seem to come down to First Person Shooters every single year. While this isn’t necessarily a bad thing, it does drive me to wonder what else I really want from my FPS gaming experiences. There seem to be three choices when it comes down to decision-making. Arcade/Deathmatch Style – Call of Duty is the quintessential example of shooter games that revolve around picking up the controller and smacking other gamers in the face. It is a fast-paced game with slight differences between weapons. Not to mention a huge group of core gamers that are dedicated to the game they have come to love (or even sometimes, hate). What More Do I Want? – I have been hoping for years for the sniping in this game to be nerfed. However, that is the ‘charm’ of Call of Duty games… the weapons are subjectively rated and designed. In many cases there isn’t much of a difference between using a magnum side-arm and a MK-14 as long as you ‘know how to handle them’. I don’t want Call of Duty to change, primarily because I know that every time I turn it on I will be able to play it for an hour or two before I get so fed up with connectivity or quick-scoping spawn trappers that I turn it off and put in a different game. 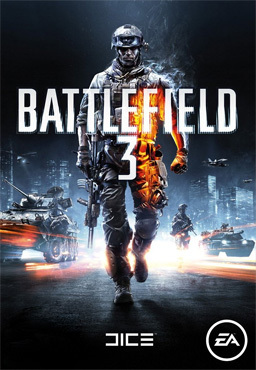 Objective Based/Simulation – Battlefield 3 is designed with huge maps and team-play as the primary components. While some of the interactions with vehicles is far from ‘simulation’ the weapons and handling of the game in-general present a much more ‘realistic’ feel to the game. The recoil of the weapons makes for tough decisions to be made at times when you try to determine if you want more power or more control. This is a primary difference between BF3 and COD games. Also, objectives are the primary gametypes for Battlefield games. This is something that tends to escape the common COD player than ventures into the land of Battlefield. They will often try to come into a game of Rush or Conquest and try to turn it into some sort of Team Deathmatch. While this is quite useful in Conquest, it is far from useful if you are the attacking team in Rush. What More Do I Want? –A preventative measure to keep teams from spawn camping with vehicles like helicopters. This is a great game, but people that are new to it will find that it is unforgiving when you play Conquest mode against seasoned teams of gamers. It is one of the biggest downfalls in game design when you make it nearly impossible for a losing team to recover. 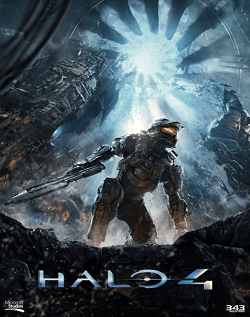 Sci-Fi/Fantasy – Halo, Fallout and The Elder Scrolls series all fall into this category for the most part. They are either based in a realm that doesn’t exist or in some sort of alternate universe. Fallout is the only potential threat to this category, but in reality it still has ‘laser’ weapons. Much like Fallout, Skyrim has magic and other spells that make it fantasy related. Halo is based on other planets or regions of the universe and uses weapons that either don’t exist or close to that description. What More Do I Want?– This category is difficult because there isn’t a lot to base anything off of in ‘real life’. The issue I have with Halo is recoil with weapons feeling non-existent. In general, Halo has a feel to it that makes it seem like the gamer is playing the game with a lot less ‘motion’. There is almost a floating sensation when playing Halo. When thinking about any of these things it leaves me thinking that any of the things I wish would happen in FPS games are subjective at best and pointless at worst. Most of the games we choose to play revolve around what we have had time to find a love for over the years. Chances are good that you have already pre-ordered a game this fall or at least plan on asking for one of them during the holiday season. Take that as a sign that you really don’t have a lot more you want out of a shooter game. Otherwise you wouldn’t pre-order something before you hear about, let alone see any real changes.